A huge sum of money is invested by businesses into their websites in the form of interactive web applications, text and design. The internet is a large global marketplace and a business needs to develop a website that shines with engaging, attractive and exciting content if they wish to stand out from the crowd. However, all your money and hard work will simply turn out to be worthless if your website is inaccessible to customers because of which you need to have website hosting that will make your website known on the World Wide Web. Hosting is about operating your website from a specific server. Potential customers may find your website because of the amazing stuff you offer through message boards, social networks, blogs or rich media. But, no matter how great content you offer, no one is going to stick around your website if it is taking ages to load or performing too slowly. The best way to ensure that your website is performing well is to opt for a reliable form of website hosting. One such option at your disposal is that of semi dedicated server hosting. This type of hosting falls somewhere between dedicated web hosting and shared web hosting. Semi-dedicated server hosting is basically a hybrid, which can bring better control and reliability of the web hosting server. As opposed to dedicated web hosting, semi-dedicated proves to be more affordable, managed and organized because the business doesn’t have to deal with the cost and problems of handling a complete server. 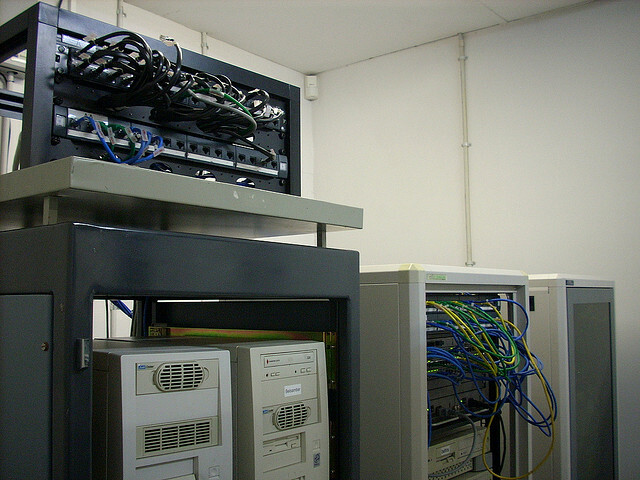 Instead, the dedicated server is shared amongst a limited number of people. For instance, in the US, the cost of a semi-dedicated server is shared between 3 and 8 users. In this way, the server is shared, but still remains integrated, allowing you to benefit from cutting edge web hosting services. In semi-dedicated server hosting, the actions of one account have no impact whatsoever on another. Even if one account fails, the other continues to operate without any issue. These servers can also offer a business maximum performance in regard to the applications and websites that are used because they can take advantage of dedicated system resources. A powerful CPU is used in semi-dedicated server hosting and plenty of RAM is provided, which leads to faster load times, quicker database access and freedom to run programs on the server. Both desktop and root access is offered by this type of hosting. A simple web interface is used for dealing with most of the site/user management tasks, which means you will have full control of configuration. You will encounter no problems whether you want to create a blog, high traffic forums, e-commerce stores, high traffic portals, photo gallery and a lot more. Email management or hosting is also offered in semi dedicated server hosting, which provides you with unlimited email aliases, auto-responders, mailing lists and spam filtering. Full back up is also provided through the latest technologies and you also get plenty of disc space along with a secure portal for excellent data security.